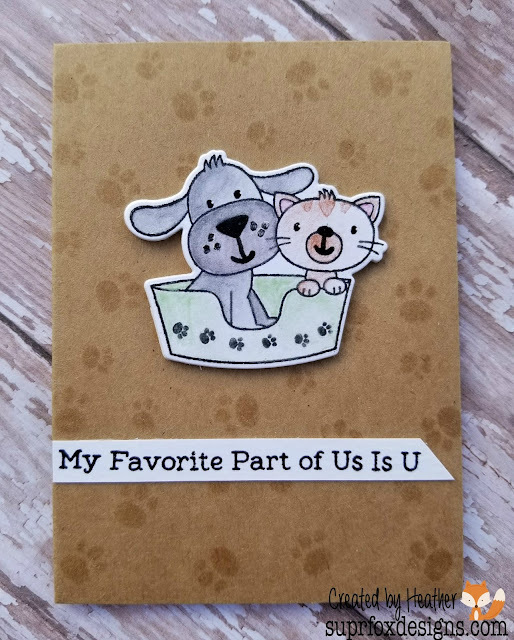 So this card is for my husband and it is a combination Valentine/ Birthday card, bummer for him being a heart baby, but easier on me to only need one card. 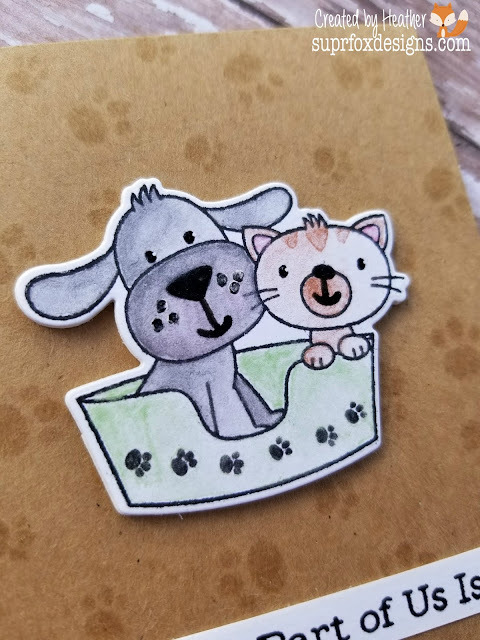 I began by getting out my MFT Furever Friends Card kit and stamped the cute little doggy & kitty sharing the dog bed in Black Onyx Versa Fine Ink onto watercolor paper. Then I stamped the little paw prints onto the bottom of the bed. I then colored my images with my Yasutomo Pearlescent watercolor paints. I went with a water downed grey for the pup as one of our pups at home is a black lab and then for the kitty I attempted to go on the orange side to reflect our orange tabby as well. (We also have a multi colored tabby and a chocolate lab, so may need to do them on the next card) The bed was colored with a light green and I finished it off by using my black glaze pen to darken the eyes and noses of the critters and then when it was all dry I cut the image out with the matching dies. 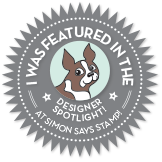 I took some kraft card stock and made a smaller card, final size is 3 1/2" x 4 1/4" and with Simon Says Ink in Barely Beige I stamped the two paw prints in the stamp kit all over the front f the card base. I finished by popping the image onto some fun foam and then placing it onto the front of the card base and using the cute sentiment stamped onto a piece of white card stock with black versa fine ink and then gluing it onto the card base. 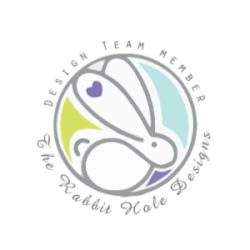 Happy Heart Day everyone!!! !